Agnes Nelson (Cox). The teacher I had when graduated from 8th grade. Marion Magone, (Salem). OA#129. Description Mounted on cardboard. 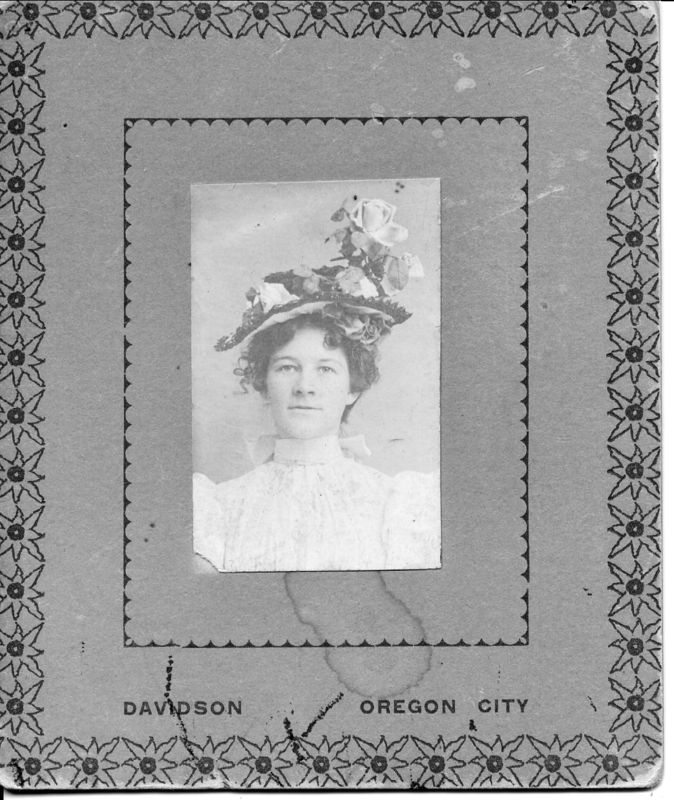 [on front] Davidson, Oregon City. Transcription Agnes Nelson (Cox). The teacher I had when graduated from 8th grade. Marion Magone, (Salem). OA#129. Physical Description H 3 1/2"" x W 3""